If you are fortunate enough to purchase a Dutch bicycle, one thing that might cause you some concern is the inner tube valve....bikes from the Netherlands are fitted with an old British style of valve called a Woods valve. it shouldn't cause you any headaches. 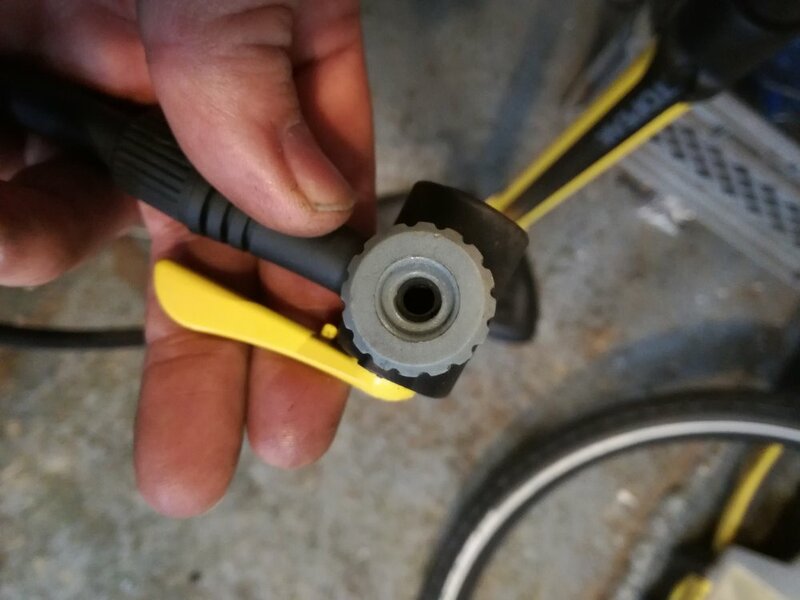 On most pumps, (and I recommend a track pump for ease of use and for taking the effort out of keeping good tyre pressure) just use the smaller hole on your pump connector, the same connection you would use on a racing bike valve. its not the one that fits a car valve style valve (the big hole). Once the woods valve dust cap is removed (don't undo any metal parts or you will lose your valve to the darkest corner of your area) so with the threads of your valve exposed, place the smaller hole on your pump head over the threaded, close the lever and inflate. That should do it, if your pump head won't connect and grip, there may not be enough grippy stuff on your pump head... you can buy a new pump, topeak pumps fit for sure..or buy an adaptor that threads onto the valve. We sell them on our online shop. So no need to change your inner tubes, It;seas to keep your tyres inflated and your worry over your 'odd' Dutch valves in context. Keep calm and keep you tyres pumped.